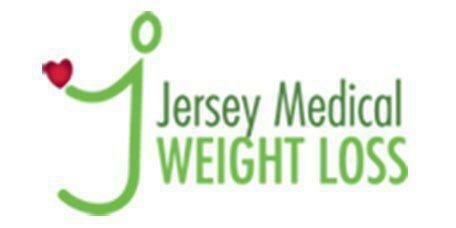 Residents who live in the Somerset, New Jersey area, are encouraged to visit Jersey Medical Weight Loss for all of their healthcare needs. Dr. Aparna Chandrasekaran is a board certified physician who offers primary care as well as several different types of physicals to her patients. From employment physicals to Medicare and annual wellness exams, she performs these types of examinations on a regular basis for all of her patients. Are there different types of physical examinations? The most common kind of physical is the annual wellness exam. Dr. Chandrasekaran encourages all her patients to receive one every year. This exam can detect many different health conditions before they become major concerns. Many types of employment require a person to receive a comprehensive physical at least once a year. This helps ensure that they’re healthy enough to perform all of the duties associated with their job. Welcome to Medicare is a comprehensive physical examination done as per Medicare protocol as soon the patient becomes eligible to use their Medicare benefits. Annual Medicare Wellness exam is done thereafter yearly. What types of health conditions can a physical examination detect? A physical examination allows the doctor to see changes from one year to the next. By comparing results from the previous year to the patient's current state of health, Dr. Chandrasekaran can uncover potential heart problems, an increased risk of certain types of cancers, possible lung disease, or digestive changes. She can also evaluate existing conditions to determine if they’ve worsened over the span of the last year. Patients who’ve experienced unexpected weight loss or gain may have a hormonal issue that Dr. Chandrasekaran needs to address. Physical examinations can catch these types of health problems in their earliest stages, allowing her to develop more efficient treatment plans. Why is early detection important? Early detection allows Dr. Chandrasekaran to offer the patient more treatment options compared to if the problem had come to her attention late in its development: If a condition is advanced, the number of viable treatment options available to the patient will be severely limited. That considerably reduces the patient's chances of making a complete recovery. Additionally, a patient who has a chronic illness may be able to slow down the progression of the disease, with Dr. Chandrasekaran’s help, so they can continue living a comfortable lifestyle. Early detection may also mean a shorter treatment plan can be used to control, or even eliminate the problem effectively.